АУДИОФИЛСКИ UHD 4K УНИВЕРСАЛЕН ПЛЕЙЪР С ЦИФРОВО-АНАЛОГОВ ПРЕОБРАЗУВАТЕЛ ESS SABRE ES9038 PRO, БАЛАНСИРАНИ ИЗХОДИ И ФИЛТРИРАНО ЗАХРАНВАНЕ С ТОРОИДАЛЕН ТРАНСФОРМАТОР. ОПЦИОНАЛНО МОЖЕ ДА СЕ ПРЕРАБОТИ ОПЕРАЦИОННАТА СИСТЕМА ЗА ДА ЧЕТЕ ISO ФАЙЛОВЕ, BDMV СТРУКТУРА, DVD-AUDIO, SACD ПО МЕРЕЖА И ОТ ТВЪРД ДИСК. 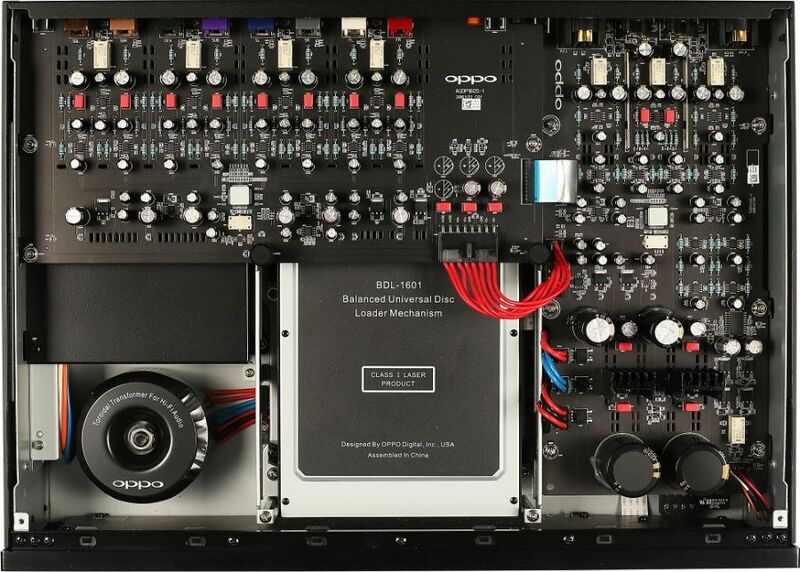 Output Analogue Audio: 7.1ch, 5.1ch, stereo. Dedicated Stereo Analogue Audio: XLR balanced, RCA single-ended. Coaxial/Optical Audio: up to 2ch/192kHz PCM, Dolby Digital, DTS. HDMI Audio: up to 7.1ch/192kHz PCM, up to 5.1ch DSD, Bitstream. HDMI Video: UHD/1080p24/1080p/1080i/720p/576p/576i/480p/ 480i, 3D frame-packing 1080p24/720p. Input HDMI Audio: up to 7.1ch/192kHz PCM, up to 5.1ch DSD, Bitstream. HDMI Video: UHD/1080p24/1080p/1080i/720p/576p/576i/480p/ 480i, 3D frame-packing 1080p24/720p. USB Audio: up to 2ch/768kHz PCM, up to 2ch/2.8224MHz/ 5.6448MHz/11.2896MHz DSD. Coaxial/Optical Audio: up to 2ch/192kHz PCM, Dolby Digital, DTS, AAC.